Heroes: Heroes with Miracle Banner + Legendary Hero: Robin! The latest skill-based banner is now live in Fire Emblem Heroes! Summon from the Heroes with Miracle Banner for your shot at a 5★ focus units for Sigurd, Delthea, and Mist. The Heroes with Miracle Banner will be around for about a week and a half, ending on 7 April at 6:59am UTC. Additionally, we now have a trailer for the next upcoming Legendary Hero. Say hello to Robin: Fell Vessel! She’s a Earth Legendary flying unit equipped with Colorless Breath and some new skills. Watch her in action in the trailer here. You can also check out a breakdown of her skills and abilities below. Her special banner begins tomorrow, and as usual, it has an 8% 5★ summoning rate with no pity breakers! The other special 5★ available in this banner are: Legendary Ike, Halloween Nowi, Zelgius, Fjorm, Brave Lucina, Lute, Gunnthrá, Summer Elise, Summer Tiki, Halloween Sakura, and Brave Lyn. Prepare your Orbs! This banner is only around for a short time and will end on 3 April at 6:59am UTC. Expiration (Colorless Breath, 16 Mt): If attacked, unit can counterattack regardless of foe’s range. If foe’s Range = 2, damage calculated using the lower of foe’s Def or Res. Bonfire (Special): Boosts damage dealt by 50% of unit’s Def. Dragonskin (A slot): Neutralizes “effective against flying” bonuses. Grants Def/Res+4 during combat if foe initiates combat. Cancel Affinity 3 (B slot): Any weapon triangle affinity granted by unit’s skills is negated. If affinity disadvantage exists, weapon triangle affinity granted by foe’s skills is reversed. Res Smoke 3 (C slot): After combat, inflicts Res-7 on foes within 2 spaces of target through their next actions. Hmmm Girl Grima actually looks really enticing, and I’ve wanted a Summer Elise for just about ever. And the green and colorless pools are actually pretty good for me. Although, my luck on these banners has been quite poor (a lot of 5* pulled, not yet anyone I had wanted). Tough decision. Good luck to you, Summer Elise is adorable and really good too, a lot like Nino though. And maybe I’ll try and fail to get Sigurd again, not even sure why, I have too many red horsies as it is, and horsie Chrom is really great. Thank you! Good luck to you too! I want Elise exactly because it would allow me to basically run two Ninos. She’s basically my only green mage right now. I’d be fine with Gunnthra, and could probably find some use for Close Defense. I have almost all red calvery units, and Xander is by far the best IMO. But horsie Chrom really won me over during this TT, I know he gets bonuses on that, but I’ve been using him on my arena team too these last two weeks and he’s really good. So fast, and sturdy too, the lack of DC is the only drawback. But Nino is my MVP. Elise has similar stats, but I don’t have a bladetome on her. I’ve not done too many of the quests yet. I’ve got all of the blessings but I’ve been a bit lazy about the team specific quests. Same, Xander, Cecilia and Camus are still my horse emblem core. Rotating regular Elise, Reinhardt or BLyn/LA Roy as the 4th, depending on the situation. But I’ve become very fond of horsie Chrom over this last TT and arena season. With the sealed Falchion he’s just extremely fast and sturdy _and_ hardhitting. And that’s without horse buffs. So I’ll give it a try even if I will really miss the DC. Or maybe I’ll change my backup cavalry team. I honestly really didn’t want to see another Grima *already*. The Fallen Heroes banner wasn’t even that long ago and on top of that we’ve just had another Awakening banner as well. It feels like suddenly, IS has returned to its fascination with Awakening. So yeah, other than legendary hero status and the fact this unit happens to be a colourless dragon… I don’t really care. Still, it’s a good banner, so I’ll pull from it anyway. The only dud colour for me is Green. I already have Gunnthrá, and with Brave Ike and Nino, what need would I have for Elise and Tiki? Other than like… Close Def fodder and Valor skill utility. Now as a big Tellius fanboy, I see Mist here, and this is only her third banner appearance, including her debut banner. I’m sure people will call me crazy for this, but being one of three Tellius units I still didn’t have yet (the others being Mia and Nephenee), I sniped for her anyway. And I had the luck to get her, and in a fairly timely fashion. 84 orbs down and I got her. And that, even after getting pity broken early on by a forced non-colourless pull in the form of Sigurd – which I’m also perfectly OK with. So yeah, I’m content, and I still have about 85 orbs left, so I can move on to the Legendary banner now as well. This almost couldn’t have worked out better for me. I am happy you got the unit you wanted. Mist is not the best staff user, but she is not the worst either. From the Tallius units, I don’t have Elincia, Mia and Zelgius. Maybe I can get the Jet-Black General in this Legendary Banner. I think it’s safe to expect they will always go back to Awakening. It’s just too popular not to lean on. Tellius, while also my favorite, doesn’t seem to match it in that regard. Sniping for a Mist with only 170 orbs is a bold move. Glad it worked out. By my standards, 170 is a lot. I’m honestly not sure I’ve ever held that many orbs at any one time before throughout the game’s life so far. And thankfully, it seems my luck isn’t too shabby so long as I stay away from seasonals. After several attempts, I’ve learned my lesson. Seasonal banners hate me with a passion. And yes, of course, I understand that Awakening remains a big deal to IS, but now that they’re finally touching upon it again in Heroes, they’re laying it on pretty thick. I suppose there’s probably some sort of business logic behind it. Still, for me personally, it’s a little much. Last time they focused this much on one game in Heroes within a short time-span was surrounding the release of Shadows of Valentia. That’s incredible to me. I tend to hoard around 300 before I pull. I find that maximizes my likelihood of getting a unit I want. Of course, even then that’s worked only about half the time this year. I would never expect to get my target with 170, even sniping. I get stressed below 200, but that might be my luck. First… I got a Laslow as my free summon. I want FV!Robin because she looks to be a good unit, but I don’t know if I will put her in my Dragon Team or in my Flying Team. I think Dragonskin will be exclusive to her. If not, Myrrh will be the only other unit who can use it. Also, I don’t have Nekura, so… yeah. And is always good to have Swift Sparrow and Atk Smoke. I use my free neutral Brave Lyn, and I don’t plan to change her for others. I don’t have Zelgius and Nowi, so good for me if I got one of them. I have 3 Ikes, so… meh. I only don’t have Elise for the green color 9I would prefer her normal version, but…). I have Tiki, but Close Def is always good to have, and maybe I can get a better Gunnthrá (if I am not wrong, mine is -Res). – and Blue is the last one. I didn’t expect Robin to be the first Colorless Dragon. I don’t like F!Robin that much… she is “meh” for me. And I still want a Legendary Staff user, which I still think will be Fjorm’s and Gunnthrá’s other sister. I think the other Nifl’s princess is the youngest one, and will receive the classic treatment of the youngest royal member: be a healer, like Maria, Sakura, Elise and Lissa. F!Grima, and then Summer Elise. Afterwards I’ll probably not have anymore orbs and will want to start saving. I don’t have the orb stockpile to pull. I’m still too badly burned from spending 270 orbs on the Spring banner and only pity broken by Abel. Oh… that’s sad…And Abel is not a amazing unit either… I hope you got, at least, good IVs. +spd/-hp so not bad. Already had a +atk/-res Abel that was fully build a while ago. So unneeded really. I’ll probably pass Brave Lance+ to someone instead. I wasn’t salty when I pulled Abel since I was too shocked with my worst ever pull rate to get any 5* unit. But yeah. Now I feel the burn with this banner which could have been a better choice to pull on. …Oh well. Not much I can do about it now. Just gotta rebuild my stockpile for insurance whenever the Choose Your Legends pops out. When I tried to get Halloween Nowi in her original banner, I got a pity broken by a Saber at 5%. Never used him, and last month I used him to give Slaying Edge+ to Soleil. Yeah. Me reaching 5.75% was a surprised since I’ve never experienced such bad luck and reaching such a high pity percentage. I know better now than to try and break 4% Pity since that’s nothing compared to 5.75%. (Sorry for continuing my rant, just venting since I’m still feeling salty about the game). Anyways, Good luck with getting Robin on this banner. Thanks for wishing me luck. I didn’t get Robin, but I got Zelgius, Nowi, Lute, Ike, Lyn and 2 Gunnthras. I hope you get some luck in this banner too. is this fair? but I do want her…. Wow, I can’t believe that I am actually saying this, but I think I may have preferred legendary King/Queen Corrin to another Grima. Don’t get me wrong, I really like her design, but I honestly feel no incentive to pull her. May dive in one session blues to see if I can net another Lucina or Lute, though. At least the colorless pool is good here? I’m really happy over the amount of Awakening units I’ve been able to skip lately. My orbs are ready for Thracia. Don’t need/want any of the Blue or Green units, so this will be Red and Colorless for me. Want FV!Robin and don’t have H!Sakura, also don’t have Zelgius or H!Nowi. If I get another B!Lyn or V!Ike I won’t be too upset because I’ll just merge them. They’re two of my most used anyway.. though I’m hoping for the best with getting new units. 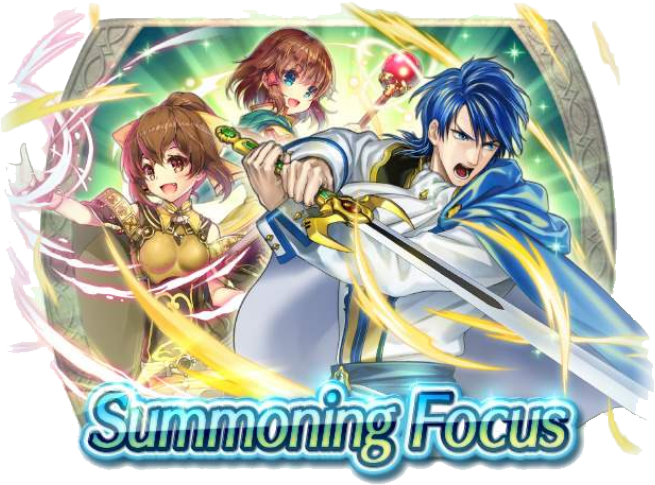 Oh boy, we’re free-sniping the Legendary Banner again. Frickin’ Spring Banner giving me such great Pity Breakers(Elise, Leo, Grima, Karel). Ah well, I’m sure one of my Frees will be someone good. My Legendary Hero Grima~ maybe to destroy the Meta?